A combination of like-minded individuals and an open bar is always a recipe for success in our book. If you haven’t attended a HUG event or have never even heard of one, here’s a breakdown of what they are. What Is a HubSpot User Group Event? HUGs are comprised of a community of HubSpot customers, partners, inbound marketers, and developers who get together to help improve their inbound marketing tactics. If you join, you can expect to learn inbound marketing tips, tools, and insider tricks. 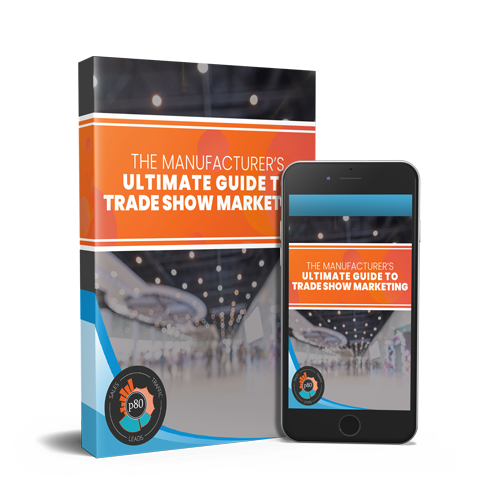 Whether you’re a beginner marketer or expert, there’s something for everyone. The short answer is yes! They’re open to anyone and everyone who is interested in learning inbound marketing tips and best practices. 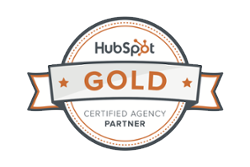 And we can’t forget about HubSpot software! You may be saying to yourself that this seems like a great event, but you don’t have the time to attend. 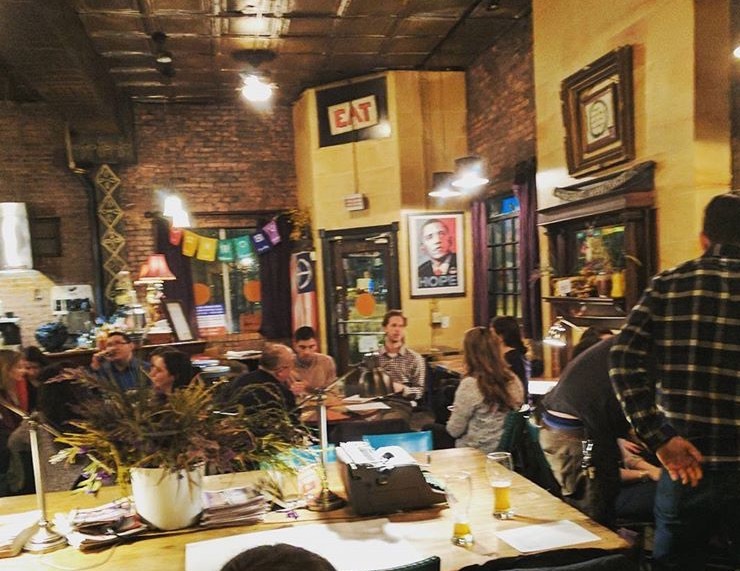 Don’t worry, HUGs are typically quarterly events, and we highly recommend checking one out! You may also be saying to yourself, that there isn't one in my area. 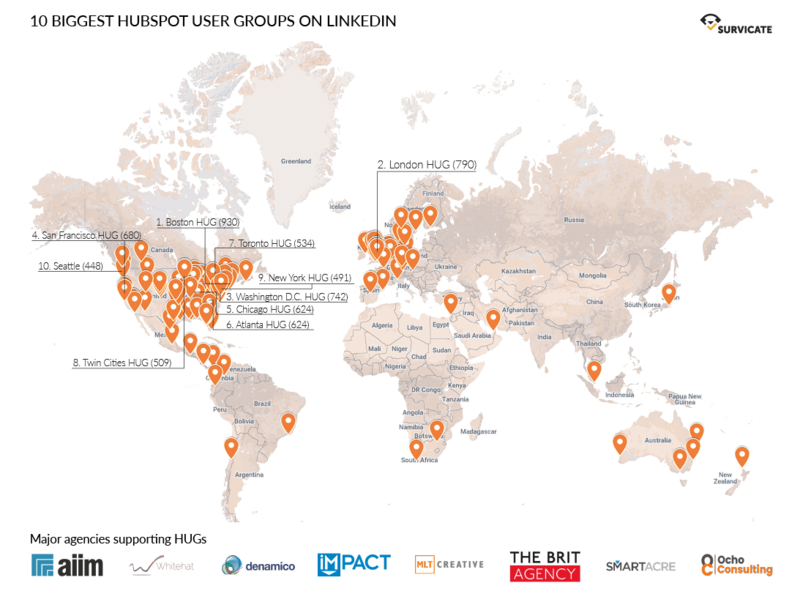 Survicate put together a map of HUGS around the world, including 10 of the biggest communities on LinkedIn! Are you interested in attending a future HUG event? Check out this list to see if there’s one in or nearby your city. And if you want to brush up on your inbound marketing before then, download our Inbound Marketing Campaign Checklist!